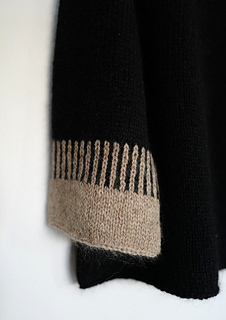 Cedar Point is a comfortable yet elegant yoked sweater featuring a funnel neck, simple colourwork, bracelet length sleeves, and generous dimensions through the body. 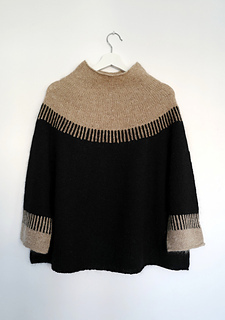 Rauma Finullgarn and Shibui Silk Cloud combine to create a lightly structured fabric with a luxurious halo and the overall result is a deliciously warm sweater with a modern silhouette and classic style. 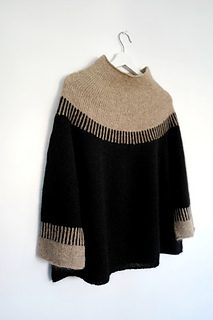 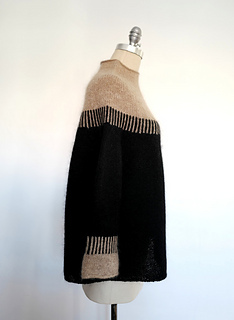 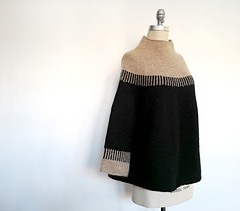 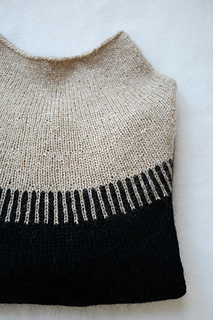 NOTE: This sweater is knit top down and is intended to be worn with significant ease through the body; however, the yoke section is fitted and is meant to fit close to the chest and shoulders. 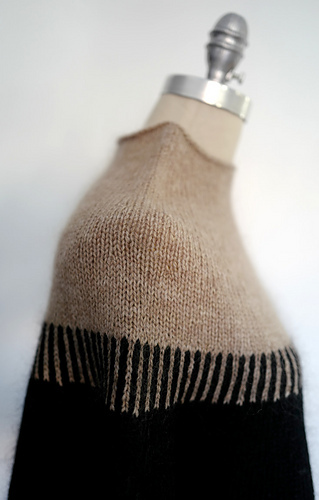 We recommend measuring around your upper bust, including the upper arms, when determining the best size to knit. 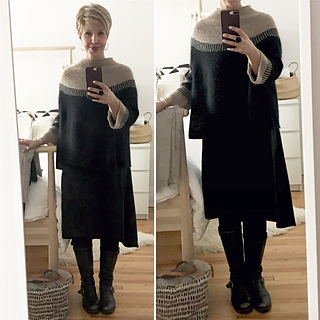 While the body and sleeves of this sweater are easily customized, please note that adding length may affect yardage requirements.